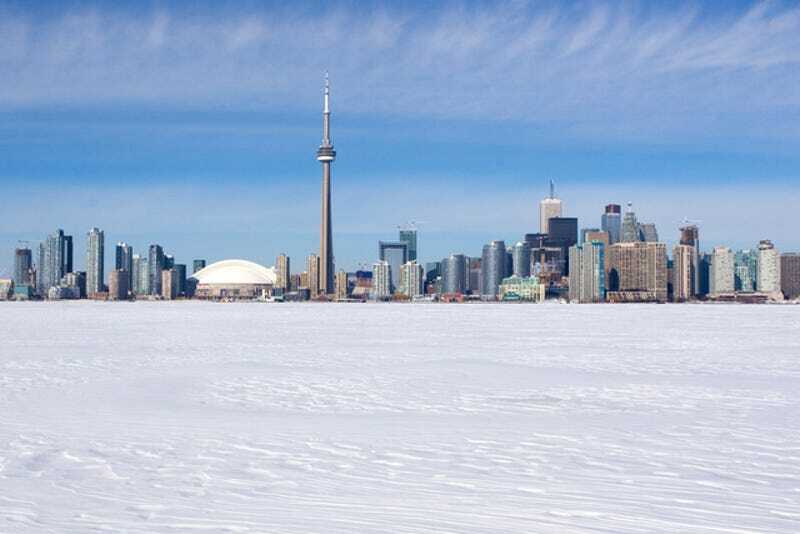 Even before the polar vortex put large swathes of the US into a deep freeze, subzero temperatures in Canada were causing frost quakes. A few nights ago, residents around Ontario woke up to mysterious booms—like an explosion or falling tree. Turns it was just the cold. Like a glass jar of water in the freezer, the ground can crack as liquid water expands while freezing into ice. Frost quakes, or cryoseisms, require a sharp temperature drop: It must be warm enough for water to first saturate the ground and then suddenly cold enough for a quick freeze. The explosions are so loud because frost quakes happen so close to the surface. And as disruptive as they sound, they're unlikely to be dangerous.